The worksheet manager is very useful to keep an overview if you have lots of worksheets in one file. 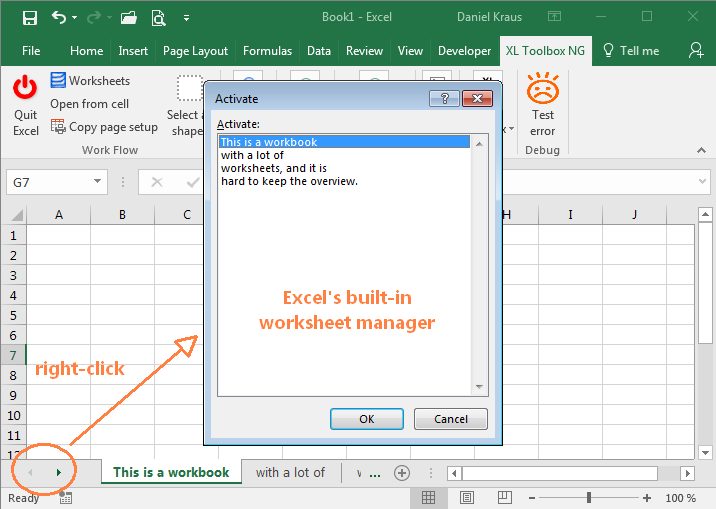 This is intended as an alternative to the worksheet tabs at the bottom of the screen, which is often difficult to work with when you have a lot of sheets in your Excel® file. You can change the order of the worksheets, and add, delete, or rename sheets. 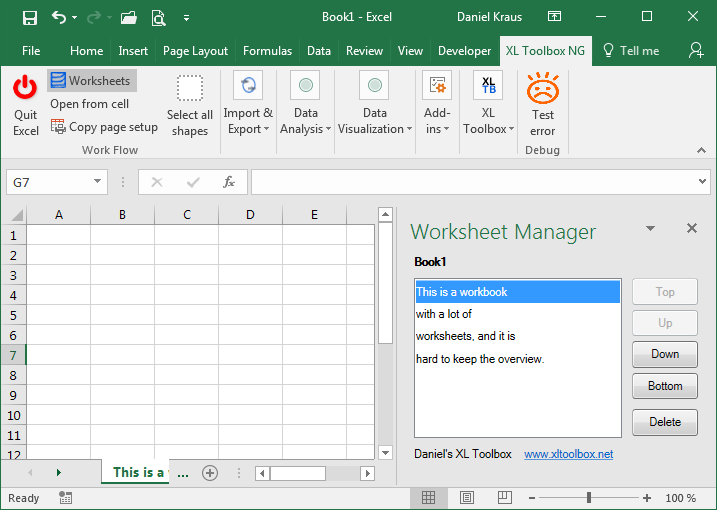 XL Toolbox Worksheet Manager. Click to enlarge. This list does not allow you to move, rename, add, or delete sheets, but it provides a way to quickly switch to other worksheets. This page was last modified on 22 Nov 2016.